I wrote a novel and a novella this summer. A Merry Mountain Christmas was created as the temperatures soared to near nineties every day and humidity nearly has high. I had to close my eyes and imagine what it looked like in the mountains with a soft coating of snow. It wasn’t as difficult as you might imagine. 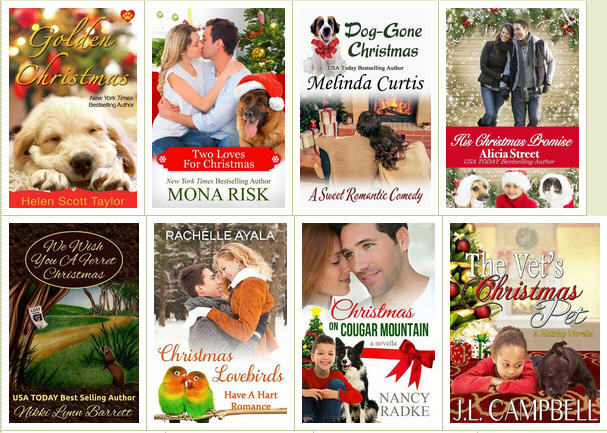 Mountain Miracles (release date: September 13) and A Merry Mountain Christmas, Books 3 and 4 in my Smoky Mountain Romance series, gave me a unique opportunity as a writer. 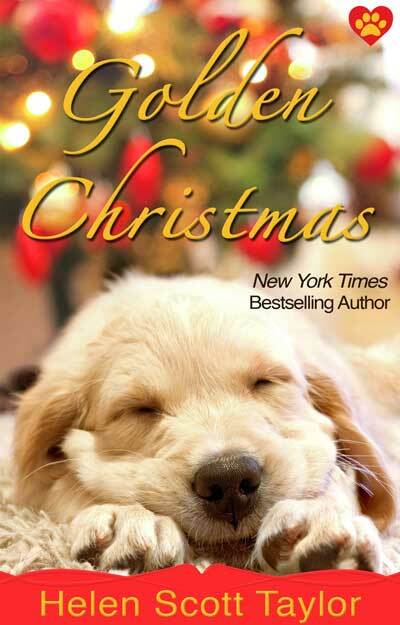 The Christmas book was written for the new Christmas Pets and Kisses 2 box set (release date: October 11) and had a hard deadline. Mountain Miracles was written to provide the gap between the last one, Misty Mountain, and the new one for the set. The deadline was all my own. So I began Mountain Miracles with an idea of where I wanted it to end up for A Merry Mountain Christmas. Except it didn’t go as quickly as I had anticipated. I had written three-quarters of the novel when I looked at the calendar and realized I had only a month to write the Christmas novella. So I left the work in progress and moved forward and wrote A Merry Mountain Christmas. The plots depend on one another so it was actually easier than I thought and helped me write a richer storyline for both of the books. At least I hope I accomplished that for the reader. It feels that way as the writer. I’ll be posting more about both of these books and the box set in the coming weeks. Usually, I like to take a break between projects, but that’s not possible this year. I’m working on another Christmas novella, but I’m having trouble getting into it. I can’t say much about it because it’s for another group project and still a secret, but it’s due December 1 so I better get inspired. 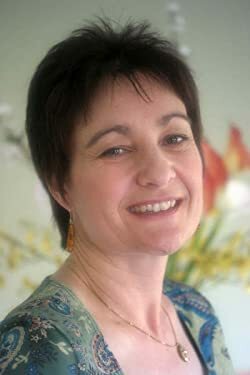 The first chapters are written and characters established. It will come. Then just when I thought I’d be fine, I did something really crazy. I accepted an offer to write a new Valentine story featuring a pet for the Valentine’s Pets and Kisses box set. Due date? December 1. I’m blessed to have so many projects. Let’s just hope my muse agrees. I’m so happy to announce the new box set Christmas Pets and Kisses 2 which is now available for pre-orders. 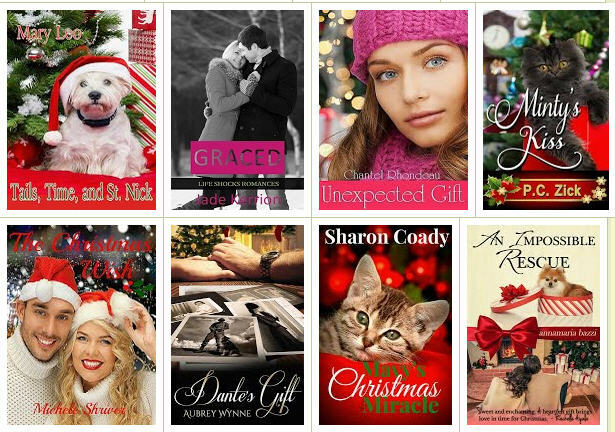 All new books and all featuring romance and an adorable pet. Join us today, July 25, for a fun-filled Pre-release Facebook party where there will be giveaways and contests. Join the party now by clicking here! And don’t forget to enter the rafflecopter below! Click here to get some wonderful deals on eBooks July 15-17. Minty’s Kiss is one of the featured deals offered for only 99 cents. About Minty’s Kiss – When Molly retreats to North Carolina with Gracie, her ten-year-old daughter, she’s surprised to find her childhood crush, Nick, still living in the area. Months before her retreat, Molly’s husband announces he’s leaving to sail around the world with his best friend. She divorces him and takes Gracie and Harold, her seventeen-year-old cat, to the Smoky Mountains where she spent many happy childhood vacations. The morning after her arrival, Nick shows up on her porch, and he is even more handsome than she remembered. She feels the flush of her adolescent crush heating up. 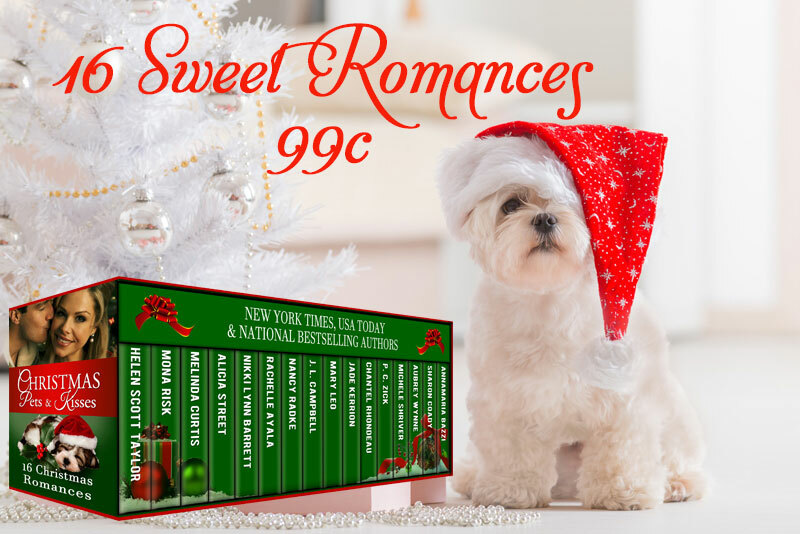 Minty’s Kiss is a sweet romantic novella, filled with holiday cheer brought to life by an adorable kitten. Molly’s daughter Gracie jumped onto her bed, forcing her eyes open. It felt as if she’d only been sleeping for a few minutes. Molly sat up, rubbing her eyes. Molly wondered how Harold managed to run anywhere these days, but he’d always been a bolter when a door opened. He loved being outside, particularly when he came to the mountains where he’d been born. Molly got out of bed and pulled on her sweats that she’d peeled off the night before, dead tired after an eight-hour drive to the cabin from Jacksonville, Florida. Pulling a trailer behind her truck proved to be more challenging than she imagined. But they’d made it back to the place where Molly first fell in love and always felt safe. She inherited the cabin when her father died in May. When Molly’s husband announced a few months later that sailing the world with his best friend was more important than being a father to their daughter and a husband to her, the cabin provided Molly a lifeline. So she’d done what her own mother had done eighteen years earlier and moved her daughter and herself back to the cabin in North Carolina after her divorce. She vowed not to follow her mother’s example and kept her bitterness at Derek’s abandonment from Gracie. Besides, she loved Murphy, the mountains, and the small cabin that her father had neglected during his years of battling cancer. And more importantly, Molly made the decision to divorce Derek once she gazed into the huge gap in how each envisioned their relationship. Often on the drive from Jacksonville to Murphy, she wondered about Nick. She hadn’t seen him since she was a teenager, and he had girls his own age hanging all over him. He was probably married with two kids, so she put him out of her mind. Molly walked out to the broad porch that ran the length of the cabin. She breathed in the mountain air and looked out at the fog masking the view of the Smokies. She’d always loved watching the “smoke” glide away in wisps of clouds, slowly revealing the tree-covered mountains. “Harold, here kitty. Come on, Harold. Breakfast time.” She whistled her special call, which usually brought the old cat rambling in his walk of old age to find out what the fuss was. Molly turned sharply toward the driveway and watched as a tall man with blonde hair walked around the trailer she’d driven from Jacksonville. She knew instantly who it was, and immediately she felt safe. Nick Johnson. Her one-time best friend and childhood crush. The man she vowed to marry one day. “Nick? Is it really you?” He took the four steps up to the porch in one giant leap and then he engulfed her in his arms. Just then the front door opened, and Gracie came out onto the porch. Click on photo to be taken away for some special treats!